A relief for the DTM fans. 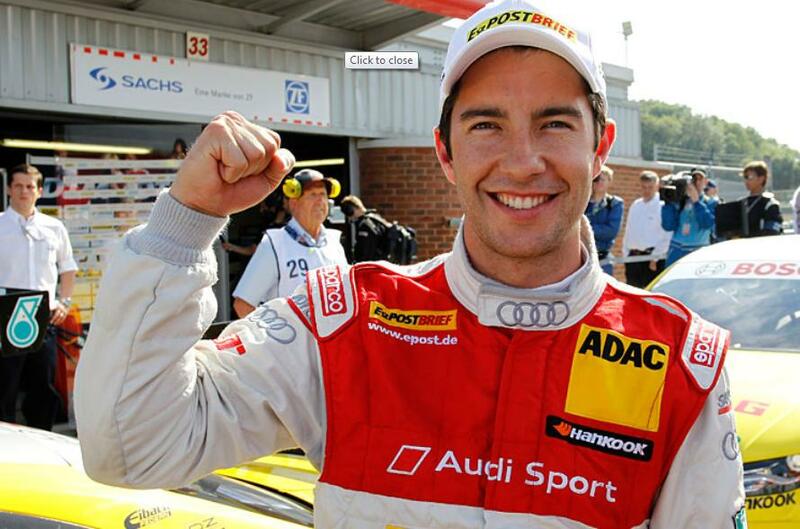 The four weeks’ summer break is over and Audi driver Mike Rockenfeller got the first applause. The 27-year old German outpaced the opposition in qualifying for the seventh DTM season round at Brands Hatch (GB) and will be starting from pole position on Sunday. “I am really happy, because I hadn’t expected this. We picked the right strategy, we gambled a little bit and thus had fresher tyres for the final heat. We are well prepared for the race”, said the fastest man of the day. ’Rocky’ completed his lap of the 1.929 kilometres short circuit, the shortest on the DTM calendar, in 42.090 seconds and thus ended up ahead of Mercedes-Benz driver Gary Paffett, who was second (42.288 seconds). For Rockenfeller, it is the maiden pole of his DTM career. For Audi, it is the first pole at Brands since 2008.